These maps won the 2013 President's Award from ESRI, the world's premiere producer of digital mapping software. These interactive maps were developed for Direct Relief, a medical relief agency which has shipped over $1 billion in aid in the last five years. 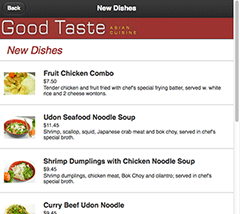 This restaurant website adapts to the viewer's browsing device, using jQuery mobile and CSS media queries to present drill-down menus for mobile users, and a more traditional site for non-mobile users. 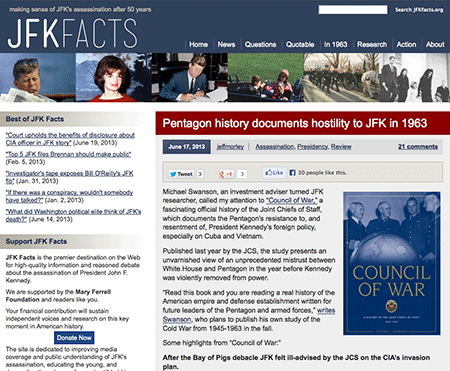 The website of the Mary Ferrell Foundation contains over 1 million pages of declassified government records, along with thousands of photographs, audio clips, scanned journals, essays, book excerpts, and interactive projects, tied together by a custom search engine and innovative document viewer. 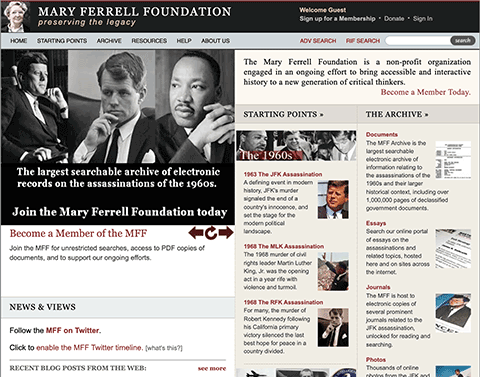 The Mary Ferrell Foundation website is the culmination of electronic archive websites I created earlier: History Matters and the website of the Assassination Archives and Research Center. 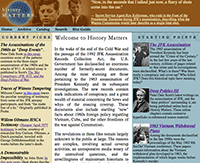 I set up, customized, and self-host the Wordpress blog JFK Facts, devoted to analyzing media coverage of the 50th anniversary of the Kennedy assassination. The moderator is author and former Washington Post writer Jefferson Morley. 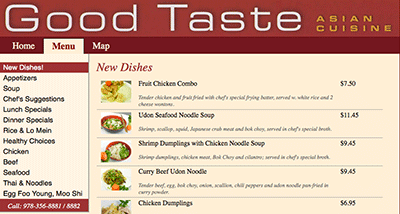 The site includes a number of plug-ins, customized stylesheets, and some custom PHP. 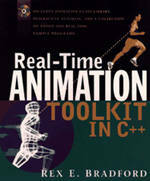 I am the author of Real Time Animation Toolkit in C++, published by John Wiley & Sons in 1995. The book is a tutorial for programmers on the subject of 2D and 3D animation programming, and develops a set of C++ classes for software-based rendering. It was written at a time when programmers wrote graphics code "to the metal", and teaches direct manipulation of the display buffers in Super VGA graphics boards. The subsequent release of version 1.0 of Microsoft's DirectX abstraction layer made the book, over the next few years, more of a time capsule than a guide for most day-to-day real-time graphics programmers. See the book's page on amazon.com. If you have a project that needs someone with these skills and interests, feel free to contact me. I have relationships with outstanding graphic artists who can be brought into a project as needed. Your browser does not support HTML5 canvas elements.